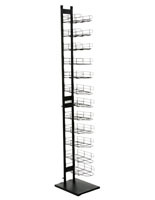 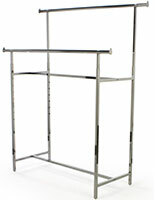 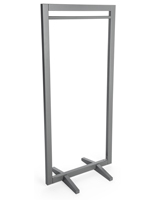 This clothing rack is affordably priced yet ideal for use in any clothing store! 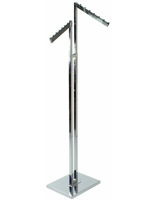 Very popular retail floor solution! 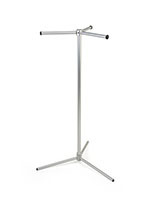 Display More Merchandise with Four Arms! 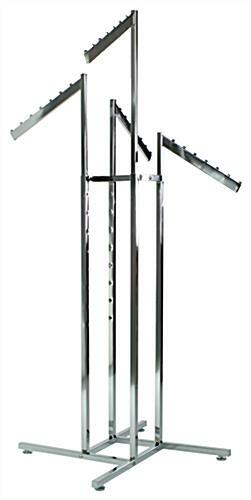 Each arm extends outward 90° from one another. 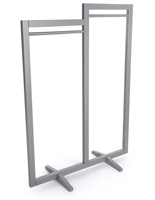 The clothing rack, like an apparel display, has sequential hole settings running up the vertical support. 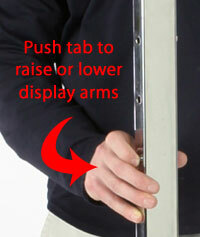 All you have to do is push the button to raise or lower an arm to the desired height. 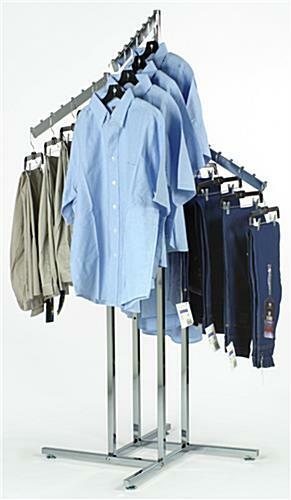 The clothing rack can highlight apparel of different heights, from long dresses to blouses. 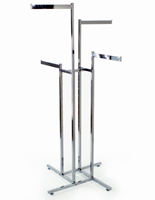 Thanks to the 8 stops located on each arm, this display is also a good choice for hanging not only garments but also accessories like handbags. 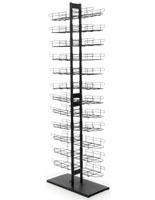 Ships unassembled with all hardware included.